It’s Pumpkin Season!!! 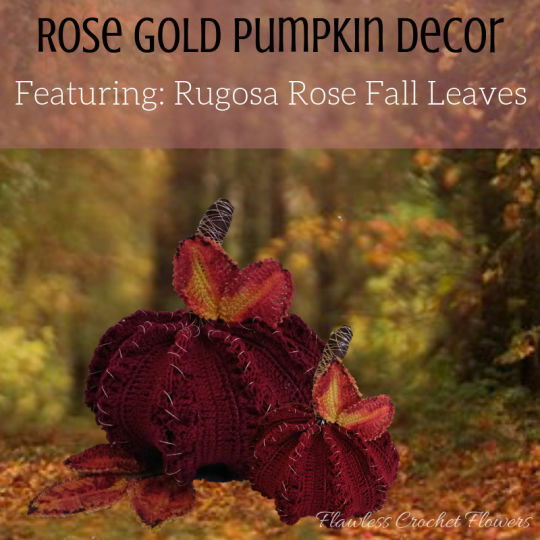 I excited to finally add this beautiful Rose Gold Pumpkin adorn with beautiful Rugosa Rose fall leaves to my shop. As always, it’s very easy to complete with lots of images to follow along. Autumn brings beautiful colors to our world. This beauty is here to do just that… bring a beautiful feeling to your environment. This pumpkin stands 6 1/2” tall with a circumference of 14”. Add this vibrant, awe-inspiring, heart-stirring beauty to your fall decor for an extra oomph. It makes a great combination with fall flowers. Create an awe-inspiring, heart-stirring pumpkin creation this fall. The Rose Gold Pumpkin is now in the shop! Missed it? Now’s your chance to get it here!